Bill Schubart grew up among farmers and loggers in Vermont’s rural Northeast Kingdom, where survival depended not on institutions but on family, neighbors, hand tools, and the bounty of wilderness. Lila and Theron are from a time and place where the arguments that divide us today would seem meaningless against the exigencies of kinship and survival. "I have long considered Bill Schubart to be the wisest columnist in America. That same wisdom, deep life experience, and empathy come shining through on every page of his new novel, Lila and Theron. Full of joy, sadness, humor, and insight, Lila and Theron is a clear-eyed celebration of our almost boundless capacity, despite all our human frailties, to love both one another and the place we call home. Over the years, I have known many true and good country people like Lila and Theron, whom I have been proud and honored to call my friends. This is a beautiful book." – Howard Frank Mosher, author of Marie Blythe and Walking to Gatlinburg. "In a time all too rich with bombast and noise, Bill Schubart gives us a quiet tale of love, commitment, and utterly human interdependence—at once hard and graceful, plainspoken and eloquent. This is a romance that sidesteps shopworn clichés for sometimes painful truths, and leaves the reader moved, thoughtful, and mourning the rarity of such honesty. A small and lovely book." 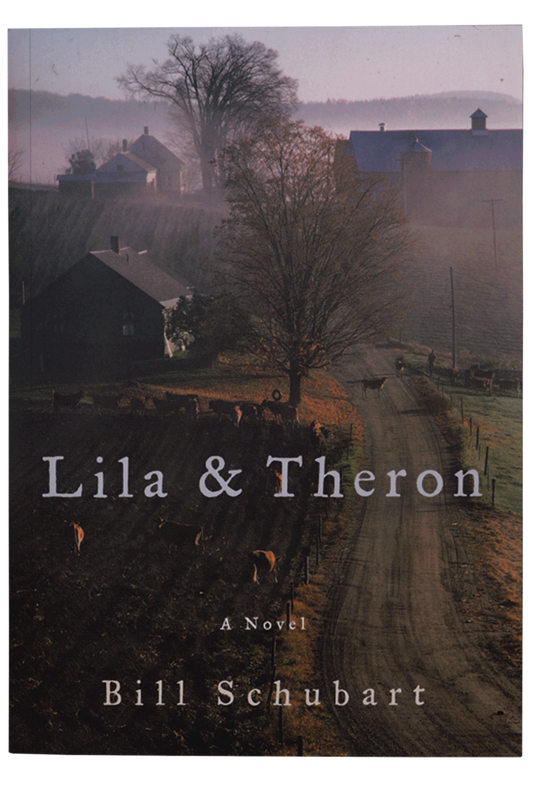 "Through the eyes of Lila and Theron, Schubart manages to not only give us a great love story, but also an homage to an icy hardscrabble Vermont, and a portrait of an evolving rural America in the 20th century. This book is both heartbreaking, tender, and as real as a winter day. I loved it."